After being busy with work, Mass Effect 2, Awakening and other miscellaneous activities, I've finally got around to upgrading my computer to Windows 7. With that completed, I can now restart modding planning and development in earnest. While I have been doing bits and pieces where I could, it did have to take a bit of a back seat for a little while, particularly due to Awakenings and the possible ramifications its story would have on "The Shattered War". But now that I'm back into development (along with a few wonderful collaborators who I'll introduce soon) I feel it's time to give a bit more information about the forthcoming module... starting with one of the characters that will join the player on their journey. "Taraz the betrayer, I was named. Exiled and disgraced. But I will see my dignity restored." 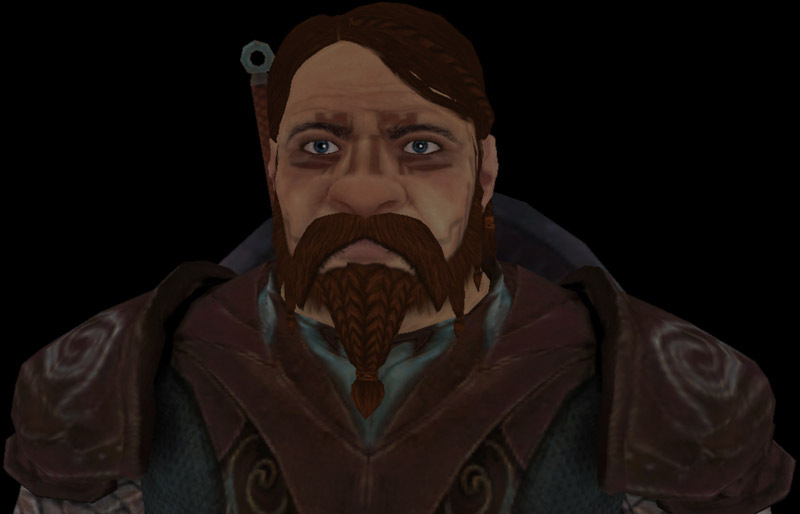 A dwarven noble, outcast and disgraced from his family and caste, Taraz has little left to lose but his life. Too proud to join The Legion of the Dead, yet lacking in the subtleties necessary for business on the surface, Taraz reluctantly chose the life of a mercenary. While he did not excel in the Proving Grounds of Orzammar, Taraz has proven himself a competent scout and a better skirmisher than most since coming to the surface. However, his motives for volunteering to join the force to investigate rumours of darkspawn in the Frostback Mountains are unclear. For a mercenary who is afraid of dying, Taraz appears to have a great desire to place himself in harm's way. No Reward For The Wicked? Increasing numbers of games are offering players choice in how they allow the player to complete the game. Obviously it's more prominent in RPGs, but the element is becoming more accepted generally. Players typically like to be able to dictate the actions of their characters, and getting to choose "good" or "bad" options can give a slightly different slant on the game. However, one problem with this choice is that frequently players that pick the "bad" option often get short-changed. Being obnoxious to people within a game shuts down plot lines by alienating or even killing the characters. In some cases, this even results in the death of potential party members. The problem lies in that the evil player is frequently not granted extra rewards for their bad actions. By being rotten and selfish, they would typically expect to be granted greater rewards as they make decisions purely based on self-interest to increase their own power. For a classic recent example, take the original BioShock. 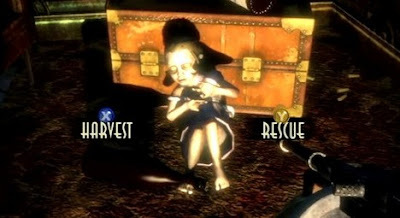 The player had the choice of rescuing the little sisters, or harvesting them for Adam, which the player was told would provide significantly more Adam by killing the little sister. Given that the selfish choice would be to take all the Adam for yourself, one would surely assume that an evil character would end up with more Adam. However, this is not the case. Due to gifts of Adam given to the good player, they actually end up with more. Similar disparities occur in other games, as the player recruits allies and makes friends that come back and help later on, making their journey easier. Unfortunately, this is a typical situation. Gamers and game developers seem to have a predilection for a classic hero archetype rather than the anti-hero, even though the latter is becoming increasingly popular in movies. 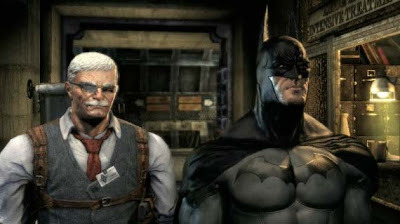 Even taking the comparison of Batman, where the most two recent Batman films represent a dark and morally challenged character, Batman: Arkham Asylum (while being a great game) still portrayed Batman as a fairly standard hero lacking that same dark moral edge present in those films. Of course, there's the argument that ruthless and evil character should have a harder time, because they're not making allies and betraying everyone in their path. And in some respects, that's an entirely valid argument. But surely the evil character who has killed and betrayed their way to power should be versed in dispatching their enemies with either guile or brute force better than the righteous do-gooder hero? Perhaps the only significant example I can think of was Grand Theft Auto IV - where the option of seeking revenge actually turned out to be the "good" choice, which is perhaps contrary to what might be expected. I'd like to see more choices where the "right" decision actually comes around to bite the "good" player. That option to spare the supposedly repentant criminal or to help the "poor helpless victim" could result in them appearing later to oppose the hero. Every good intention does not need to be rewarded, and every bad intention does not need to be punished. But even after saying all that, I have to end this post with a slight hypocrite warning. I always play "good" the first time through a game. Heck, some games I've never even played through picking the evil options, as I just couldn't bring myself to do it. That said, the jaw-dropping ability of some evil choices (point-blank executions in Mass Effect spring to mind) cannot be underestimated. Edit: I should note that BioWare has given us a few recent examples in Mass Effect 2 and Dragon Age: Origins - Awakening, where "good" choices do come back and bite the player somewhat. As much as I lamented not being able to have a Hollywood happy ending, I loved the fact that I didn't get it. If you've ever worked on a creative endeavour, you've likely reached a point where you feel like you can't come up with ideas. Of course, this could apply to drawing, composing, writing, or a myriad of other creative pursuits. But I want to focus on writing, dealing with the dreaded "writer's block". I'm going to offer one method to help in the creation of a story. If you're struggling to create a plot or some story arc, then the first thing to do is to simplify your objective. Stories are told through their characters, so focus on creating a character and let the story unfold from there. But now we're faced with the problem of creating a character. In order to do this, let's give our character an emotion. Emotions help people connect with the characters we create, as they can empathise with their feelings. So for this exercise, grab a piece of paper and a pen and write down some emotions. Or grab a dictionary/thesaurus and pick one from a random page. I'm doing this as I'm writing this post, so I came up with: mirth, jealousy, depression, eagerness, frustration. For the purposes of this exercise, I'm going to pick "frustration". Now there might be plenty of reasons why someone might be frustrated and we can create a character around that. But say for argument's sake that this particular emotion still isn't helping you come up with a character. So let's try adding another layer to the character. Let's give them a setting. Sure, you might already have a setting in mind, but that doesn't matter. Just think of a setting, be it a time period or a genre. So write down a few possible settings. I came up with: Middle Ages, Egyptian times, a crime thriller, outer space, Roman Empire. So let's combine that emotion with a character (or two!) from one of those settings. Try a character from these times, pick some stereotype or type of person and then work out why they might be feeling this emotion. If you can't come up with something, just forget it and move on. Don't dwell on it, just move onto the next setting/character and write something down. Middle Ages - A peasant: frustrated by his inability to grow decent crops. A noble: frustrated by the tardiness of his vassals to pay their dues/taxes. Egyptian times - A worker building the pyramids: frustrated by... lack of food/water. Crime Thriller - Private Detective: frustrated by the police stymieing their efforts to investigate a murder. Heroine: frustrated by the feeling that she is constantly in danger from a killer on the loose. Roman Empire - A worker in the gladiator pits: frustrated by his inability to escape from a life of servitude in a bloody environment. These aren't fully formed ideas by any stretch of the imagination, but they're a hook to get the flow of creativity happening. Note that I couldn't really come up with anything for my egyptian worker, paused for a second and wrote something down, then moved on. For outer space I didn't have a character spring to mind, so I just abandoned it. Now we need to pick one or more characters to explore: I'm going to take the heroine. She's frustrated, but also fears for her life. At the same time, she has the conviction and determination to do something about it. The character is already three dimensional and we have a small story around them. Yet, we can easily take that core emotional context of the character and transpose into another setting and create a new story. If she were in World War 2, she might be a spy who is frustrated at the slow progress of her mission, but fearful to push faster for fear of being discovered. Yet she is desperate to make a difference in the war so must overcome that fear and take the plunge to break into the office of an official. I'm sure you get the idea, and I imagine you can develop your own ideas more thoroughly from this point. My main point is that characters are vital to telling a good story, and if you can make an interesting and meaningful character, you'll likely be creating a story around them before you even realise it.